According to Conscious Reminder, people destined to be together are connected by an invisible thread of fate. The connection binds those people no matter time, place, or circumstance, and the connection can never be broken. 2. Origins. According to this East Asian myth, the gods tie a red string around the ankles of those that are destined to meet each other or help each other in a certain way. 7. When the connection stretches and tangles? At the crux of this proverb is submitting to a higher power. Destiny will take its course, and in time all will fall into place. It is important not to fight the red thread. 8. Still takes work. 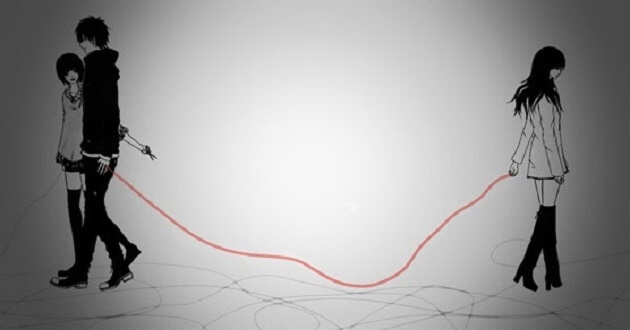 Even if you find the person on the other end of the fateful red string, that doesn't mean staying together will be easy. The proverb is meant to instill loyalty, devotion, and compassion. The string is also there to make sure lovers remain faithful to one another. 9. Infinite. No matter how near or far you are from the person, the thread remains. There will be times when mentally or physically, you feel distant from the person, but that doesn't affect the thread that binds you two together. 11. In the hands of the gods. According to Chinese legend, the deity in charge of the “Red string of Fate” is believed to be Yuè Xià Lǎo the old lunar matchmaker god. Yuè Xià Lǎo is also in charge of marriages.